In our never-ending quest to keep you informed and up-to-date on movie and home entertainment happenings, Inside Redbox regularly takes a look at major films coming out in the near(ish) future that are already generating buzz and anticipation. 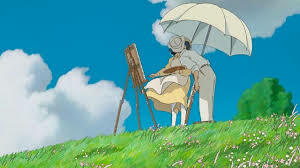 This time around, we’re spotlighting The Wind Rises. Japanese animation legend Hayao Miyazaki returns with his final film, The Wind Rises. This animated feature tells the life story of Jiro Horikoshi, a nearsighted aeronautical engineer who lives through the turbulent events of the early and mid-twentieth century in Japan. The Wind Rises blows into theaters next February. Will you be there?